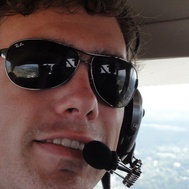 To follow Jasper Brandt and start participating in AviationClub, sign up now ! It only takes a minute. Member since March 1 2011. Gratuated at the university of applied sciences! Thesis grade 8! What’s the theory behind elevator trim? Next friday I will be giving my final presentation for my bachelor degree in Aviation, can't wait for it to be over. Spending whole days looking for that perfect pilot job, it must be out there somewhere! Any suggestions? I finally received my flight crew licence! Looking for a job! Yesterday I handed in the final version of my bachelor thesis at the university of applied sciences. The research I did was about the feasibility of moving non-mainportrelated air-traffic from Schiphol to initially two other smaller airports within the Netherlands. Preparing for my presentation now, hoping to get feedback soon!